Ready to Rocket is a business recognition program for British Columbia's tech sector that showcases the Revenue Growth Leaders of Tomorrow. Rocket Builders today released its fourteenth (14th) annual “Ready to Rocket” lists. These lists profile British Columbia technology companies that are best positioned to capitalize on the technology sector trends that will lead them to faster growth than their peers. Rocket Builders also released results from its 2015 lists, with strong revenue growth across all sectors and a record number of companies being acquired - MediaCore, Recon Instruments, Solegear and dPoint. Additionally, a number of companies graduated from consideration, with the largest being Slack, a recognized global Unicorn (an industry term signifying a high growth company exceeding a billion dollars in valuation). The “Ready to Rocket” lists are the only predictive lists of its kind in North America, requiring many months of sector and company analysis. "2015 was a good year for the Ready to Rocket ICT list, and the most interesting observation I have for 2016 is the number of viable and promising startups that are emerging," said Steven Forth, Senior Partner at Rocket Builders. "In selecting companies for our Emerging ICT list, this year we had to increase the criteria yet still resulted in a list of 30 companies. Among the trends driving these young companies are Mobility, Cloud Computing, the Internet of Things (IoT), Social Media and E-Commerce." The Rocket Recognition Program features two branded lists of companies. The "Ready to Rocket" list profiles information technology companies with the greatest potential for revenue growth in the coming year. The "Emerging Rockets" list profiles technology companies from multiple technology sectors with great potential for investment and market breakthroughs in the coming year. Both lists are predictive of future success making them unique in approach and unique in value for our business audience. "Ready to Rocket" and "Emerging Rockets: are trademarks of Rocket Builders, a respected management consulting firm servicing the technology industry. 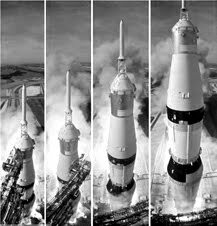 Rocket Builders is a management consulting firm providing sales and marketing services. With a focus on helping technology companies to grow and prosper, Rocket Builders has a proven track record of success with its clients. Since 2000, we have been engaged in market research, market planning, business development initiatives, strategic selling, and product launches for over 300 organizations. Ready to Rocket is a unique business recognition list that profiles B.C. technology companies with the greatest potential for revenue growth. Since 2003, the Ready to Rocket list has consistently predicted the revenue growth leaders and the companies most likely to attract investment. "Ready to Rocket" is a trademark of Rocket Builders. Picture Window theme. Powered by Blogger.